It sounds surprising at first, but it is absolutely true: Toothaches can be caused by sinus issues. 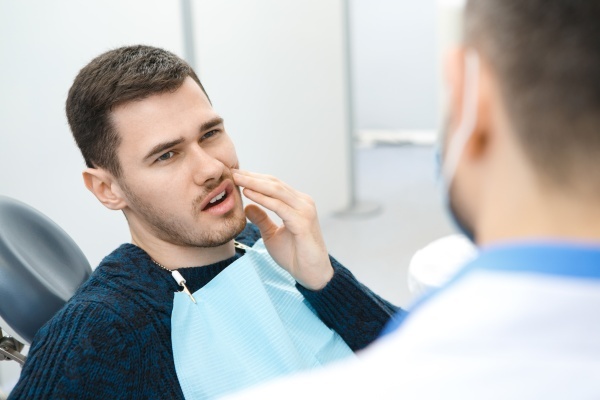 If you appear to have a toothache but cannot find a cavity, infected food or damage to the tooth, it may be time to consider that the pain is being caused by another part of the body. How do sinuses affect teeth? For starters, the face is filled with an abundance of nerves, and they are all crowded together. However, the biggest reason is that there are sinus canals close to the top of the mouth, specifically near the back. When the sinus cavity becomes infected or swollen, it presses on the roots of the upper teeth, causing what feels like a normal toothache. The most common sinuses to affect the upper teeth are the maxillary sinuses, located on either side of the nose. It os never a good idea to self-diagnose. If you have a seemingly inexplicable toothache, see the dentist first. The dentist can rule out more difficult-to-spot causes of tooth pain and determine if sinuses are to blame for the toothache. Also, do a quick check of the back teeth and the teeth around the pain, wiggling them around or biting on something hard. If the pain is not pinpointed on any one particular tooth but seems to be more generalized, it could be that a sinus infection is the culprit. Pain caused by sinus issues usually originates in the upper rear molars; it can often be mistaken for wisdom teeth pain. This pain can also be further forward, but it is always centered on the upper part of the mouth. If the pain in the teeth is being caused by sinus pain, it is time to focus on repairing and treating the sinuses themselves. The first step is to keep the sinuses moist: Long showers, hot baths, vaporizers and humidifiers can all help. Saline spray shot up the nostrils can also help to not only alleviate pressure but also kill bacteria in the nasal passages. And of course, remember to drink plenty of fluids to keep the entire body hydrated. Also, try over-the-counter medications like phenylephrine or oxymetazoline to lower swelling in the sinuses and relieve pressure. The teeth can also affect the sinuses, proving that it is not a one-way street. A badly infected tooth, especially on the top side of the mouth, can actually damage the tissues and sinuses above it. It can even damage bone, causing permanent damage. Infected sinuses can alter breathing patterns, making the affected breathe through the mouth. This can cause dry mouth, which creates a breeding ground for bacteria. Never be afraid to talk to a healthcare professional when in pain. If you are not sure what is causing the tooth pain, go to your dentist first. They will know the signs of sinus-caused toothaches. Any severe pain should be dealt with immediately, ideally with home remedies until the doctor’s appointment. Request an appointment in our Glendale office here: https://clarisseatakhaniandds.com.